Point-and-click your way to a new handicap van in Weeki Wachee, Florida! The AMS Vans online sales program invites you to work with our mobility consultants to choose the right handicap van for your needs, get wheelchair van financing, and submit the correct paperwork right from your home computer. When everything is ready to go, you can arrange to have delivery of your mobility vehicle to Weeki Wachee, Florida, area cities such as Tampa, New Port Richey, Largo, or a destination across the country. Let us continue to serve you by hauling your handicap vehicle on a car carrier to your driveway in Weeki Wachee, FL, in as little as 24 hours. Although our delivery service is very affordable, you're welcome to visit our headquarters in Atlanta, GA, to pick up your handicapped van in person. In addition to zero delivery costs, most customers who travel from Weeki Wachee, Florida, will receive a pickup discount on the purchase price. 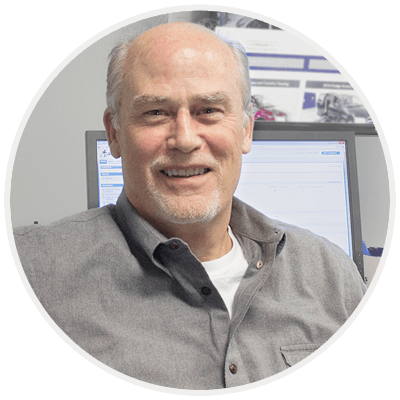 You'll appreciate our "White Glove Service," which allows you to spend time with one of our mobility professionals who will show you exactly how to operate all of the factory and after-market features you'll find in our wheelchair van conversions. We won't leave until you're confidently operating your handicap vehicle on your own. We also offer an ironclad total satisfaction guarantee, that gives you a chance to check out the handicap van at the time of delivery, before making a commitment. Upon delivery, if you find that you're unsatisfied with any part of the vehicle, we'll take it back to our office, void the sale, and process a refund of your payment. Another option is to choose a mechanic in the Weeki Wachee, Florida area. We'll meet you there for an inspection, after which you can make your decision. Our side and rear entry handicap vans are priced thousands of dollars lower than the leading competition. On newly modified handicap van conversions, we offer a low price guarantee. 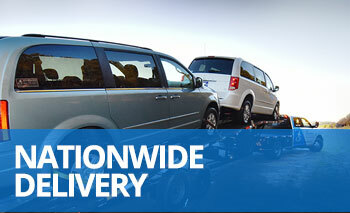 If, up until the time of delivery, you should find a comparable van at a lower price, we'll match or beat the price. Call today to speak with an AMS Vans consultant at 800-775-VANS (8267). We'll help you browse our large inventory of handicap vans for sale to find the one you've been looking for. Whether buying or renting wheelchair vans, our consultants will work closely with you throughout the process, allowing you to stay home in Weeki Wachee, Florida. Since 1999, we've provided affordable handicap vans to those who need them throughout the nation, and we can't wait to deliver one to you in Weeki Wachee, FL, soon.